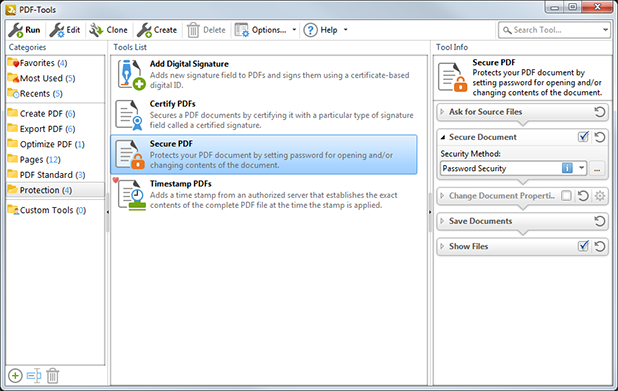 Tracker Software Products :: Knowledge Base :: Can I use PDF-Tools to change the security settings of multiple files at the same time? 2. Click the Protection Category. The Secure PDF dialog box will open. Select an option from the Compatibility dropdown menu to determine the Acrobat build with which new passwords are compatible. 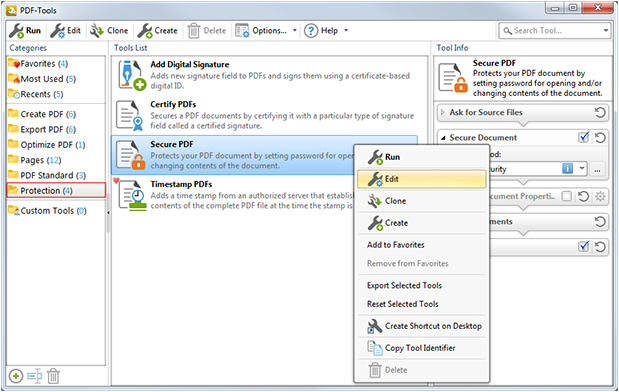 - Encrypt all document contents encrypts all document content, including metadata and attachments. - Encrypt all document contents except metadata encrypts all document content and attachments. - Encrypt only file attachments encrypts only file attachments. - Select the Require password to open the document box to set a password requirement to open documents, and enter the password in the text boxes. 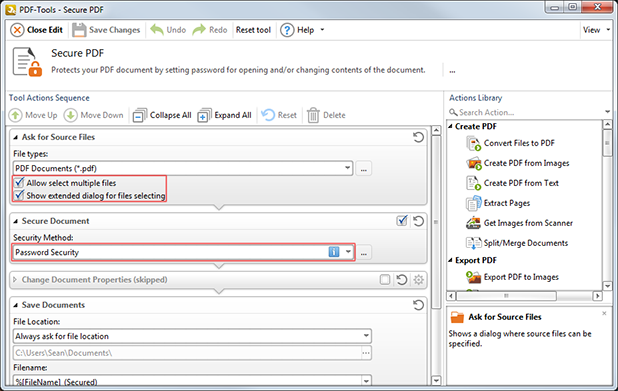 - Select the Restrict editing and printing box to set a password requirement to edit/print documents, and enter the password in the text boxes. Use the Permissions options to determine the permitted printing and editing changes. Select the permissions check boxes as desired. 7. Drag the desired folders into the window, or click the plus icon to select files saved on the local computer. 8. Click OK. 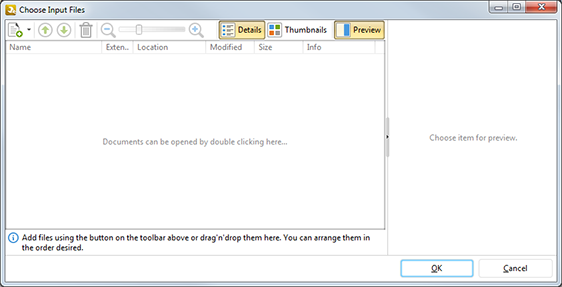 The Select Folder dialog box will open. 9. Set the location at which the files will be saved and click Select. The selected files will then be converted according to the security settings determined at step 4.